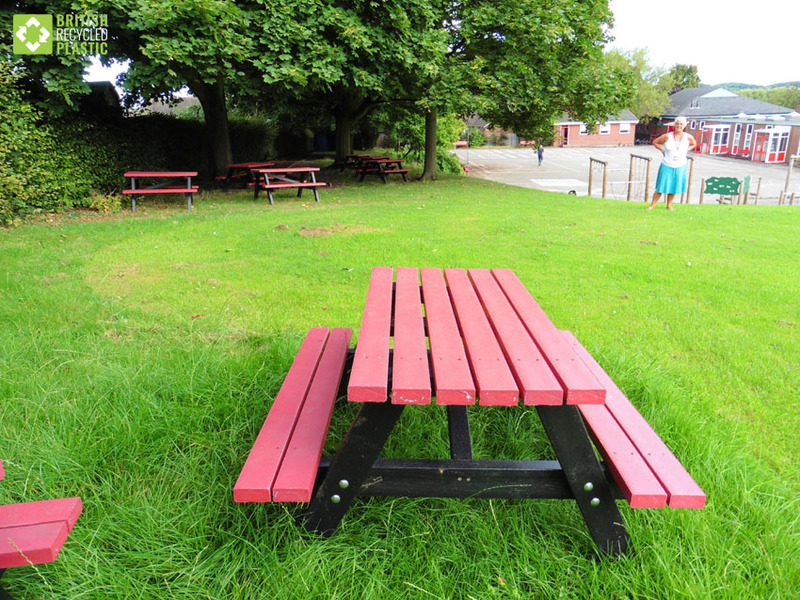 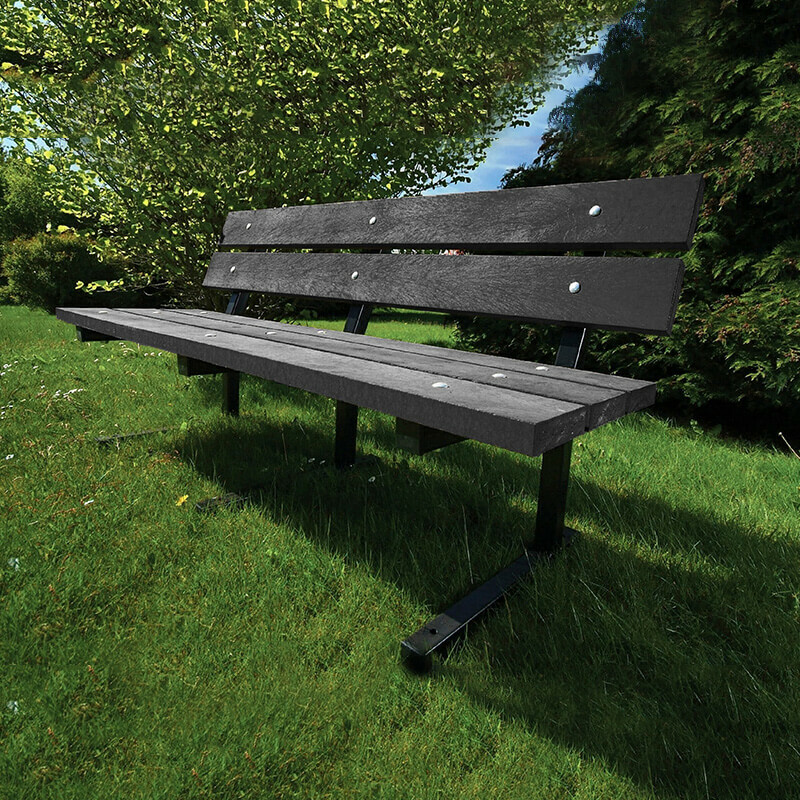 When you require maintenance-free benches and picnic tables for your school playground, fencing for the perimeter or to delineate areas, raised beds for your kitchen garden, seats, planters or walkways, British Recycled Plastic has the answers. 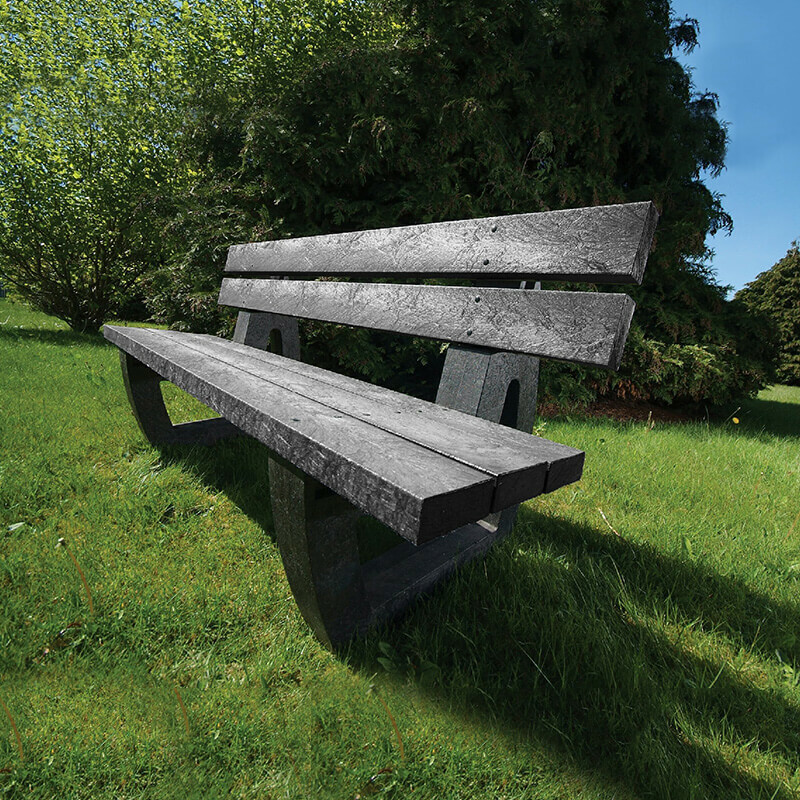 Why should your school choose our products? 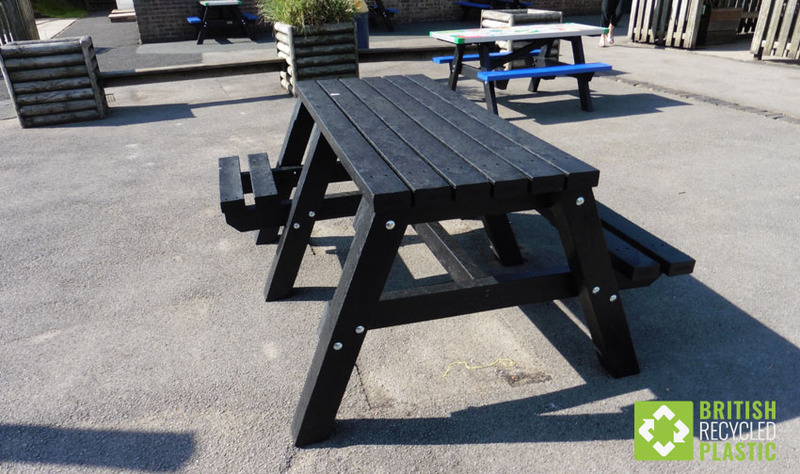 Our range of outdoor furniture and play equipment is maintenance free, weatherproof, rot-proof, extremely vandal-resistant, safe and designed to meet the needs of your school. 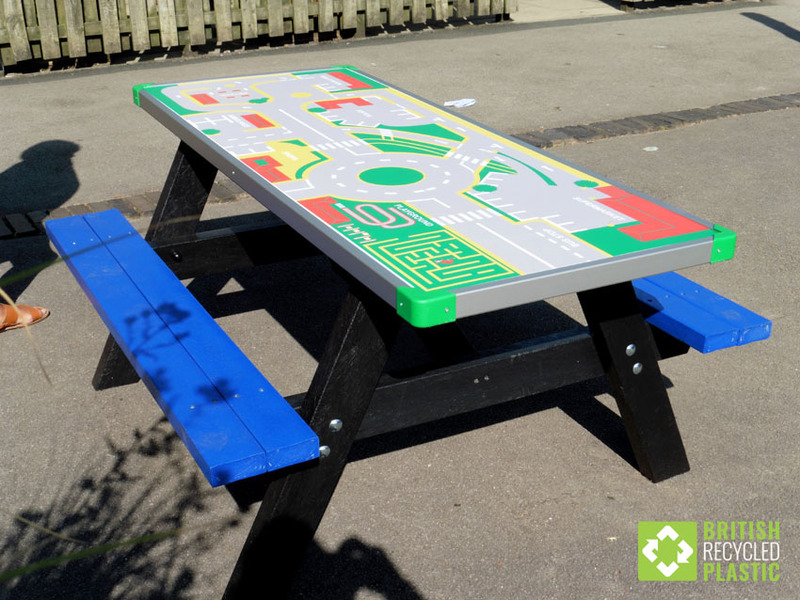 Governers and head teachers love being able to get products in the school colours, caretakers and estates staff love the lack of maintenance and pupils love the activity tables as well as the lack of splinters! 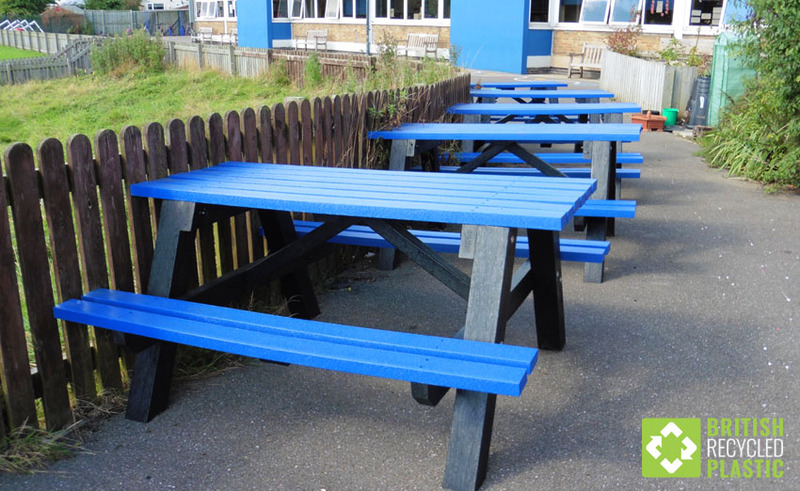 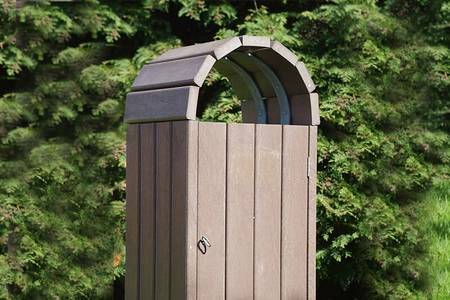 In addition to these practical benefits, using products made from recycled and reused materials in an educational setting illustrates perfectly to your students how we all can take positive action, whether at work, school or at home, to help reduce landfill and protect the environment.